A grassroots, non-profit organization, supporting the positive personal journeys of our community citizens with disabilities, their families and caregivers since 1994. More than the 3R's - Teach independence, self-esteem, resourcefulness, creativity, collaboration, and more! Follow these innovative ways to reach today's youth with special needs! - NHU asks are the USA reports on hospitals and high severe maternal morbidity and injury rates also affecting the infants involved? Are you expecting? How can you choose your doctor and hospital? - NHU thanks Microsoft for their inclusion and respect of people with disabilities. Check out their Super Bowl Commercial 2019: "We All Win," announcing Microsoft's new XBox Adaptive Controller! - Are You Prepared for Fire or Disaster? Do You Have an Evacuation Plan! - ABLE Accounts and how to start one. - Tommy Adaptive is a new clothing line from Tommy Hilfiger clothing. Made for Men, Women, Boys and Girls to make dressing easier. - Register Now for June 5, 2019 Our 16th Annual New Horizons Un-Limited Benefit Golf Outing! - Milwaukee Ballet will once again in 2019 offer a sensory friendly Nutcracker Ballet performance. - Wisconsin State Parks will begin accepting Accessible Cabin reservations on January 10, for the 2019 camping season. - NHU is a Microsoft Certified Computer Refurbisher granting refurbished computers to people with physical disabilities in Southeastern, Wisconsin. - Advocacy Alert! 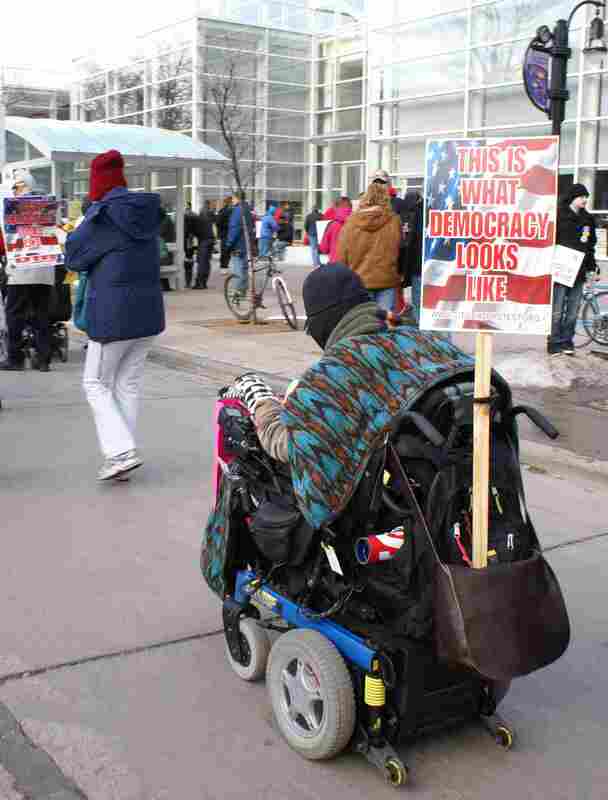 See Wisconsin Governor Ever's 2019-2021 proposed Budget and NHU's Budget Summary for disability issues and benefits important to YOU! Contact your Wisconsin Legislators Today! - Advocacy Alert! Wisconsin Governor Evers has introduced an initiative in the budget that will improve Healthy Women and Healthy Babies! Contact your Wisconsin Legislators Today! - Advocacy Alert! Wisconsin Governor Evers has introduced an initiative in the budget that will improve dental care for low income people in Wisconsin. Contact your Wisconsin Legislators Today! © Copyright 1997-2019 New Horizons Un-Limited Inc.
NHU has no liability for content or goods on the Internet.